Hanna’s Blend is an Ethiopian roast brought to you through the help of Vident Financial, a financial services innovator who is committed to principles-based investing around the world. This Ethiopian blend is a higher quality that retails for $16/pound. However, Vident Financial subsidizes a portion ($7/lb.) of each bag ordered and donates those funds to help support Hanna’s Home—an orphanage in the heart of Addis Ababa, Ethiopia dedicated to loving kids from childhood to university graduation. Last year Hanna’s Blend proceeds resulted in donating over three thousand dollars to Hanna’s Home. Each 16oz. coffee comes beautifully designed in a silver gift box with a purple ribbon. 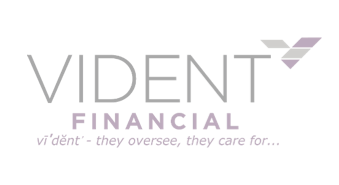 Vident Financial is owned by the Vident Investor’s Oversight Trust. These entities believe that human productivity is the source of growth and wealth creation. Vident Financial is proud to encourage human productivity at a grassroots level by supporting Hanna’s Home. Members of the Oversight Trust have spent time with Hanna and the children over the last several years and remain encouraged by her selfless love and character. Hanna’s Home is a unique orphanage that was started through the compassion of Hanna, a radiantly joyful woman who opened her home up to street children and began caring for them. Since then she has recruited other house-moms and together they have taken in over 330 orphans in Ethiopia. They provide food, shelter, education, love and a safe place to play and gather in community. What makes Hannah’s Home different than so many “orphanage” concepts is the hub-and-spoke model in which it operates. They have a central compound that serves as a safe haven for all the kids to play, and learn computers, sewing, and other vocational skills. The children live in individual homes, within walking distance of the compound. Each home holds 8 to 10 children with a house-mom or house-parents providing shelter, food, and love. All the children then attend local schools, which are within walking distance from their house and the central compound.